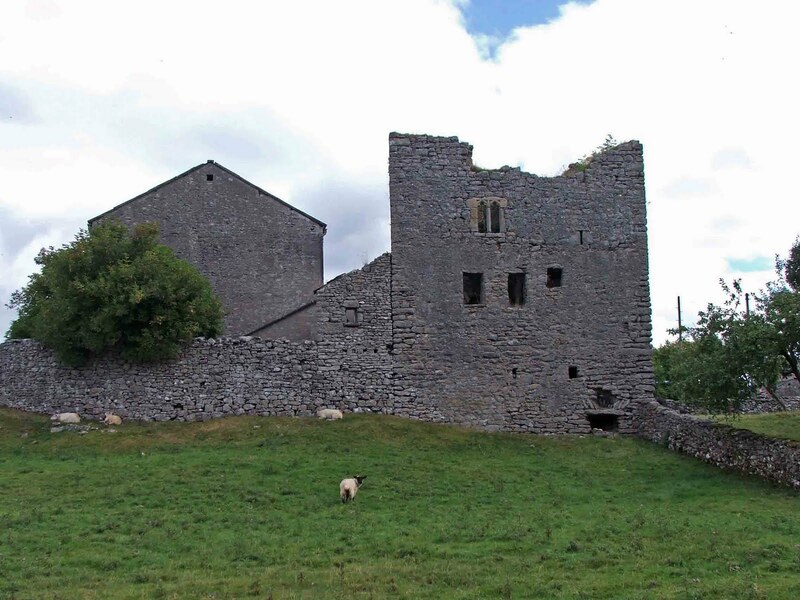 The four story Hazelslack Tower lays a few yards off the B5282 near the village of Storth, West of Beetham and South of Kendal. 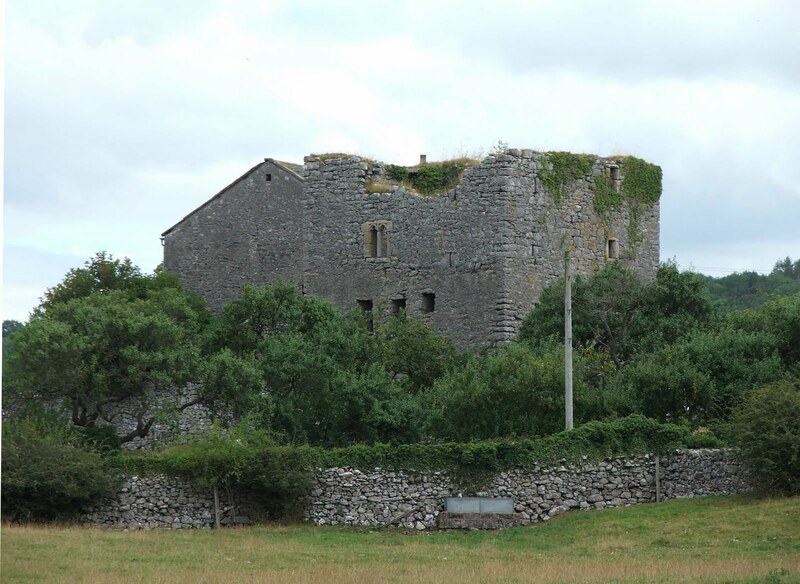 The tower that survives is today interpreted by some, as a pele tower and the solar block to a now demolished hall. The only reminders of the former hall block, are the marks of the eaves on the walls of the tower. A huge fireplace can still be seen where the hall joined the tower. Above. A view of the tower from the East. The tower was most probably built during the late 14th century, and was certainly in ruin by the 17th century. The many windows mostly remain in situ, with their sandstone surrounds mostly intact. Above. A view of the tower from the West. The tower was reputedly built by Lucy, Margaret and Katherine de Thweng. 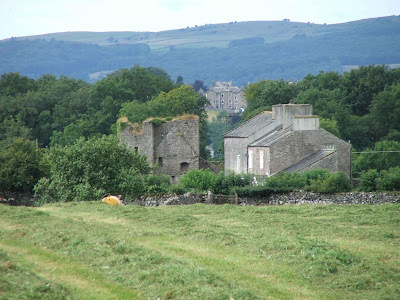 Together with their brother, Thomas de Thweng, they owned one quarter of the Barony of Kendal. The tower was built in conjunction with a tower at Dallam, now demolished and replaced with the great hall, and also Arnside. Above. Another view from the West. It may also be that the tower at Hazelslack was incomplete....maybe any threat of the family's security had subsided by the time the building was underway. Above. The South wall of the tower. It is thought that there was also a curtain wall or simply barmkyn surrounding some sort of compound or courtyard here, but along with any wooden buildings, this seems to have long since vanished. All we are left with is a simple, almost square, roofless tower, very much in danger of completely collapsing. Above. A closer view of the West wall of the tower. The tower is easily visible from the road, and forms an integral part of the Limestone Link walk from Arnside to Kirkby Lonsdale, passing through some great limestone countryside.